As Chandler's population continues to grow, the demand for water also increases. Water is a finite resource and none of it should be wasted. 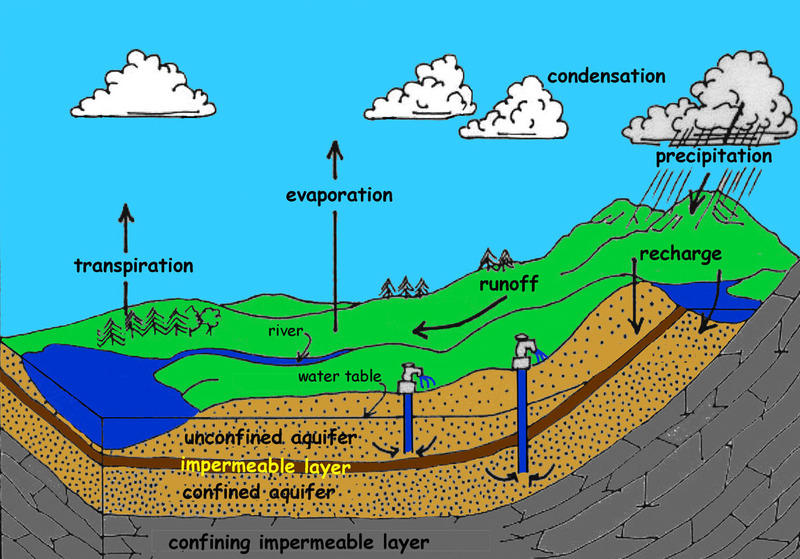 All the fresh water that will ever be created is already on the earth's surface or stored underground in aquifers. It's up to us to use our water supply wisely and efficiently, so it will last for the future. Luckily, reducing water use isn't rocket science. It's easy to save water and can mean just watering your lawn at a different time of day, fixing a leak or tweaking your sprinkler system. Get on a smart schedule. Don't water your landscape every day. Only apply the amount of water that your plants really need depending on the season. Check out the recommended watering schedule for landscapes in Chandler. Note: Watering may not be needed during the winter for desert-adapted landscapes. Timing is everything. Water your lawn early in the morning or late in the evening. Midday watering results in fast evaporation, and scorches your lawn and plants. Control your controller. Know how to operate your in-ground sprinkler system controller. Check sprinkler systems frequently for directional aim and broken heads to prevent watering driveways, sidewalks and streets. If it has rained you may be able to turn skip a cycle or two. Slow the flow. Use low-flow sprinkler heads to water your grass, and become familiar with the "cycle and soak" setting on your controller. Use a drip system instead of sprinklers to water trees, shrubs and flower or vegetable beds more efficiently. Mow better. Raise your lawnmower blade and cut grass areas to a height of 3 inches. This shades the soil, which reduces evaporation and allows roots to grow deeper. Be soil-savvy. Use a 2 - 3 inch layer or inorganic mulch like ½" minus decomposed granite on top of your soil. Better yet, try a 3 inch layer or organic mulch (compost, finely shredded bark/wood). This helps retain moisture, prevents weeds and releases nutrients back into the soil as it decomposes. Grow native. Plant trees to create shade, and choose colorful, drought-tolerant or native groundcovers, shrubs and perennials. Ask your local nursery or landscape professional for advice, or browse the free, full-color booklet Landscape Plants for the Arizona Desert. Plug the leaks! Check for leaks in taps, toilets, pipes and your sprinkler system. Fixing leaks is a simple way to save water. One slow drip can waste 20 gallons of water daily (7,000 gallons per year). It might not seem like much, but every time you practice one of these tips, you're not only using water more wisely and efficiently, but also saving water for our future.